We all live in an era of information. In this era television, internet and Mobile are playing crucial role in the field of information and broadcasting. We can contact instantly any person in the world through mobile phone and we can easily get any kind of information by internet. News of a particular incident is instantly displayed on TV news channels. Like this people also want instant predictions from astrologers as soon as they contact them via mobile, TV or internet and they also expect a quick and right answer of their query. They are ready to pay fee for this through cash or credit card. Nowadays we see many interactive programs related to astrology on TV and a person can directly ask a question from the astrologer sitting in the studio via mobile phone. Ramal method, gazing at Crystal ball and tarot card readings are very popular methods which are used for giving instant predictions. In these methods detailed calculations are not required while giving predictions and predictions are entirely based of observations. In astrology various planetary combinations, planetary period and transit of planets are analyzed along with many other astrological calculations which may cause delay in giving predictions. So it has become very essential for astrologers who are working in modern era of information and technology to find out some techniques to give instant and accurate predictions. 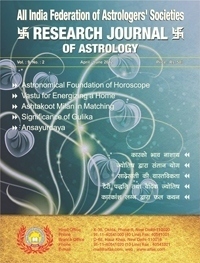 Astrological softwares are being updated with the advancement of computer technology. 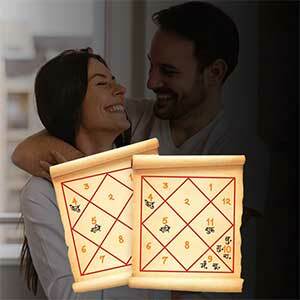 Leo software developed by future point is proved very useful for astrologers for this purpose. In this software as soon as we enter birth details the horoscope, planetary period, planetary positions, astrological predictions and remedies are immediately displayed on the computer screen. Let us see how we can give instant predictions by doing quick and accurate calculations. Determination of Mook Prasna In astrology we can not only give instant predictions but we can also judge the mental state of the native. First of all make a horoscope of the time and place from where the native is asking his question. You should keep in mind that planetary position of that time are generating question in the mind of the native and these planetary positions are also responsible for the answer of this question not the astrologer. Astrologer is only a medium to answer the question. If one is asking question from India and astrologer is also based in India than it does not make a big difference in the planetary positions but if somebody asks question from a foreign country and astrologer is based in India than it can make a big difference. In this situation ascendant rising at the place from where the native is asking question and the ascendant rising at the place of the astrologer at the time of question may differ. 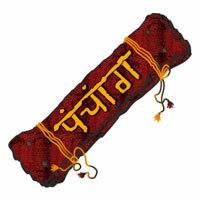 Different houses of the horoscope signify different aspects of human life. An experienced astrologer should always keep in mind the specified areas on which native can ask question. Broadly a native can ask questions related to his health, education, work and profession, economic and monetary conditions, family life, progeny, litigation, children, marriage. 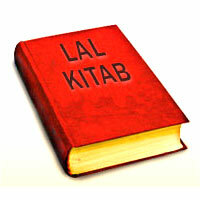 First of all an astrologer should make horary chart and assess the position of ascendant lord. The position of ascendant lord can give a clue about the question. Normally question is related to the house in which the lord of ascendant is posited. First house	Health Second house	Money and Wealth Third house	dispute, courage and endeavor Fourth house	Family, happiness and education Fifth house	Children, education, if the questioner is female than the question is related to love affairs Sixth house	service or disputes Seventh house	Marriage or marital disputes Eighth house	obstacle, transfer, court case Ninth house	success/profession Tenth house	Service, business and career Eleventh house	Money and finance Twelfth house	Travel, investment or lost property. The result of question depends on the position of significator of the question. If it is posited in the benefic house than results will be favorable otherwise results may not be very good. Moon shows the time of fructification of results. Work will be completed in the number of days The Moon takes to pass the ascendant. If Moon is in the ascendant at the time of question then it indicates instant results. If Moon is posited in the twelfth house it indicates result will come in three four days. If it is in the second house then the results will come in one month. If the result of question is to come in months then the distance of Sun from ascendant indicates the fructification of results. If the results are to come in a year or above than it is difficult to get results from horary chart. The position of Moon in the horary chart gives results as per the following manner. House	Results First house immediate results Second/third/fourth In a month or more than a month. Fifth house	Success will sure but it will be at the appropriate time Sixth house	Immediate and sure success Seventh house	There will be success but there will be tension and trouble also. Eighth house	Success is denied or delayed. Ninth/tenth house Success will be in a few days Eleventh/twelfth house	Success within a week. Prediction through Horoscope There are three important things we have to consider while giving predictions by using horoscope of the individual. These are planetary combinations, planetary periods and planetary transit. Transit plays an important role in predicting future. For this we have to see transit of Saturn. As Sun, Moon, Mars, Mercury and Venus are fast moving planets and Rahu and Ketu are shadow planets and Jupiter is benefic planet. As Saturn is slow moving planet and this is the only planet which gives sufferings and trouble to the native due to its transit. We can assess the effect of Saturn transit by three methods. The transit of Saturn in a sign The transit of Saturn with respect to the natal Moon The transit of Saturn with respect to Ascendant The transit of Saturn with respect to Moon indicates malefic or benefic results. Transit of Saturn with respect to ascendant indicates the part of life which is affected like health, wealth, marriage or children etc. The transit of Saturn in different zodiac signs and its results are like this Aries	malefic	Lirba	Benefic Taurus	benefic	Scorpio	malefic Gemini	Benefic	Sagittarius	Malefic Cancer	Malefic	Capricorn	Benefic Leo	malefic	Aquarius	Benefic Virgo	benefic	Pisces	Malefic	The transit of Saturn in the 12, 1, 2,4 and 8th house from the natal Moon sign or ascendant is considered good and auspicious. In other houses the transit of Saturn is normal or inauspicious. 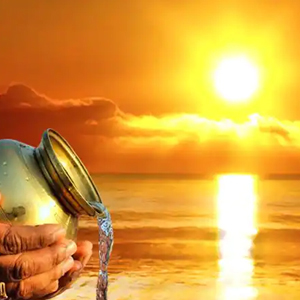 Normally a native gets relief after his the dhaiya or sade sati of Saturn is over. His mental, physical, emotional and monetary problems are reduced after this. In addition to this native also gets relief if a bad phase of malefic planetary period is over according to his horoscope. Thus an astrologer can give instant predictions by focusing on the transit of Saturn in the horoscope of the native. Predictions based on this are very accurate and satisfactory. If Saturn is not favorable in the horoscope of the native then an astrologer can suggest astrological remedies to reduce the sufferings of the native.